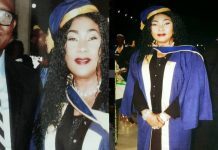 Popular Nollywood actress, Rita Edochie, said on Saturday in Abuja that she was unaware that she was pregnant when she was in primary six. 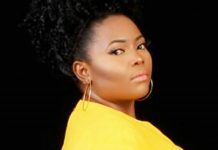 Edochie told the News Agency of Nigeria in an interview that contrary to a story that she did not tell her mother about the pregnancy, she was not even aware of her situation. “Though a boy used diabolic means and sexually abused me; I was not aware, I could not tell exactly how it happened. “I was not aware that I was pregnant then; I was so tiny. “We were playing games in the school; the type that the instructor or referee will say ‘number one’ and pupils with number 1 would run and collect something. “It was during the game that a fellow pupil insulted me that my tummy was like a breadfruit; I was angered and beat her up,” she said. She explained that the lesson teacher then asked them to go home and bring their parents. The actress said that she was a young innocent girl who could not tell lies to the mother or against the mother. “When I got home, I told my mother what led to the fight; she then asked me to raise up my dress; I did and after examination, she said that I was pregnant. 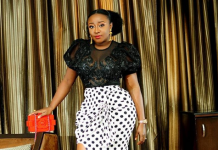 “When she said, ‘do you know that you are pregnant,’ I fainted; any other story aside this is not true,’’ Edochie said.